When it come to the anime world there are some characters that cannot overlook like mentors in Naruto introduced teachers Such as Jiraiya where in One Piece also it has its own wise man Silver Rayleigh that people heard about the aging pirate ready to pop back into the anime.Recently, with the show put out through latest episode display and seems episode 860 is big open for Monkey. D .Luffy with the realistic scene with Silvers questioning about the big appearances. 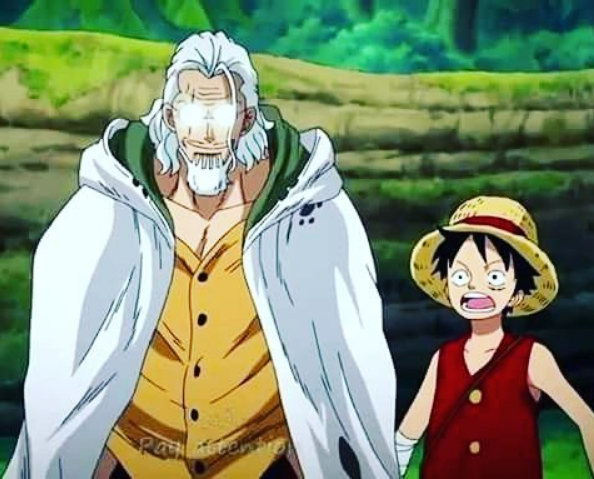 As we can see the new preview ends with the Sliver on screen the older man is intently ahead where older man team up with luffy as usual anime fan are anxious aboput to see what Slivers has to do with this on going arc former retired Roger pirate been keeping in his low profiles that got nothing to do with the Big Mom far as we know certain manga readers something to work with this scene. It is big revel yet in One Piece drafting slivers to do it soon as far the readers super shot screen was spotted in chapter 886 that luffy as he runs from Big Mom force beyond the Mirror world. Is One Piece Is displaying Luffy Mentor Rayleigh? Luffy was waiting to restart his fight until he restore his Haki power to fight with Charlotte Katakuri he feeling down the Straw Hat Captain have to beat the sweet commander visited by his teacher in a flashback where manga sees Silver teaching Luffy how HAki become stronger with in person when they battle stronger enemies, luffy tried to fired up the battle as he stands to learn about Haki From Katakuri and he want to beat Big Mom.